Every four years, the Olympics comes by to inspire us by pushing the limits of human achievement. Each time, I find myself mesmerized by the sheer power of the games. Yet, this time, I was also intrigued by the lessons the games seem to offer for business leaders today. No, I am not going to lead you through the lessons of hard work, focus, passion or perseverance. Not that these are not important, but you already know these. 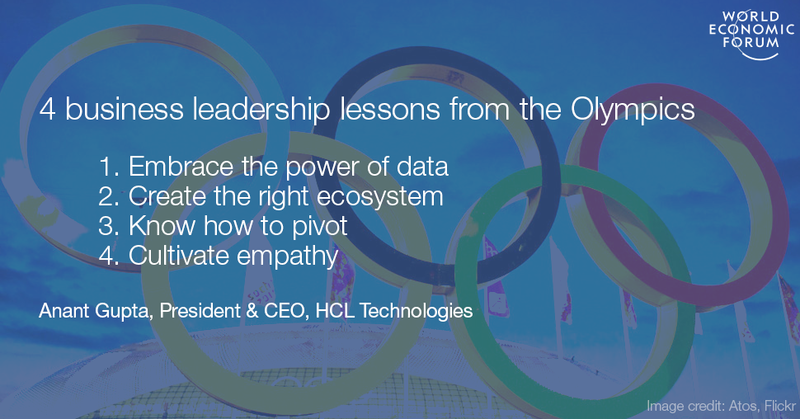 I am referring to the lessons from some powerful changes we witnessed in these distinctly 21st-century Olympics in Rio; lessons that can definitely be applied in business. The Olympics are certainly not the same as they used to be. Yes, the sports, the athletes, the winning, the spirit of the game are all fundamentally unchanged. But everything else has been transformed. One of the big factors of change is technology, of course. Once far removed from the athletes, confined to the pyrotechnics of a dazzling opening ceremony or high-definition coverage, it plays a dramatically different and critical role at the Games today. It has become the key that can unlock the Olympic ideals of Citius, Altius, Fortius (Latin for Higher, Faster, Stronger). Here is a glimpse at some of the ways in which the Rio Games have successfully leveraged the power of technology. The Rio Games were the most data-driven Olympics to date. Once the action begins, the use of sensors is widespread, playing an important role in determining results with amazing accuracy or recording the exact position of athletes during events such as road cycling. But long before the opening ceremony, data has played a central role in training across sports and countries, with data captured on every aspect of performance through sensors, wearables, heart rate monitors and more. 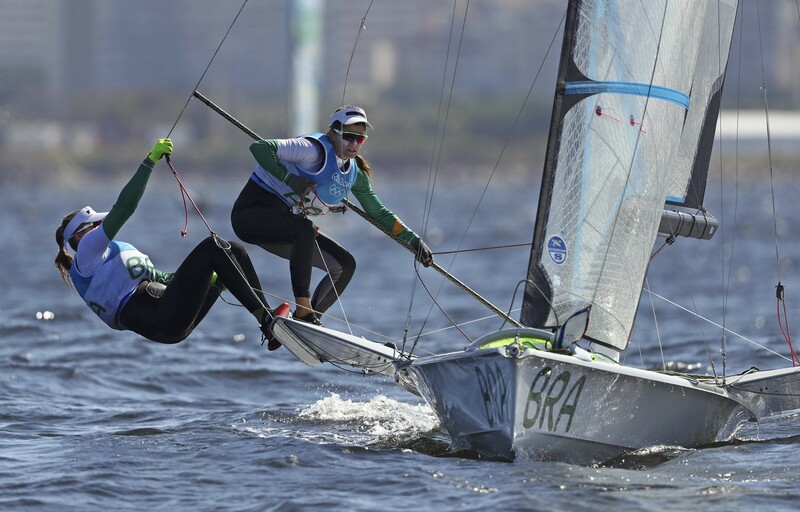 Sailing teams are reported to have used big data technology to analyze and track the exact currents of Rio’s Guanabara bay to make informed decisions to boost their performance, while rowing teams have analyzed patterns to determine training strategies. In boxing, the British team is said to have used data analytics to understand their own performance as well as gather insights on their opponents’ tactics and weaknesses. In turn, the US and Canadian boxing teams were assisted by Hykso , a sensor worn inside the fighter's clothing that calculates the number of punches being thrown, the types and speed of those punches, as well as time between attacks. And U.S. cyclists are reported to be wearing smart glasses with a small heads-up display that shows various metrics such as cadence, pace, heart rate and distance. Elsewhere, the Brazilian Canoe Federation teamed up with GE to analyze the huge amounts of data produced by the national team during training sessions, and help boost its chances. There has been plenty of publicity around the use of sophisticated technology in other areas at the Olympics, such as the artificial intelligence bot used by Washington Post, and not to forget the Visa smart ring . But, without a doubt, data analytics was the invisible backbone for competitors at Rio 2016, as it must be today for all 21st century enterprises . We are all aware of the importance of the coach in the making of a champion. However, the coach is now just one part of an entire ecosystem that comes together on the strength of new science and technology, adding knowledge that can spell the difference between victory and defeat. 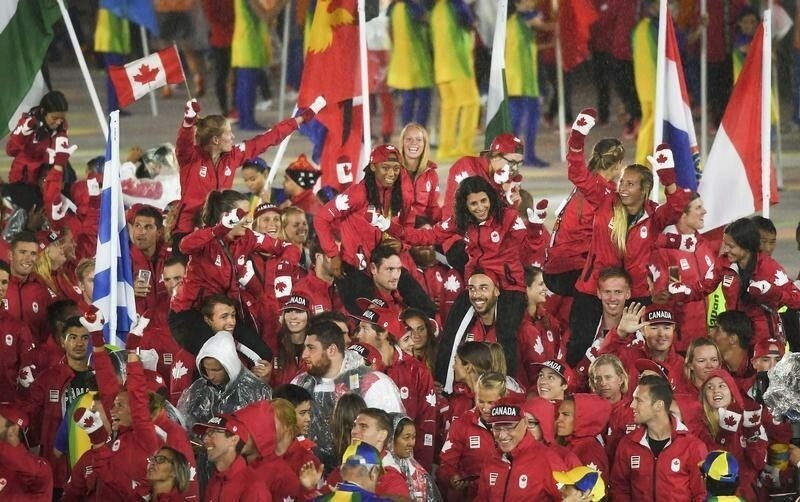 For instance, behind the Canadian athletes competing at the 2016 Rio Olympic Games, was a team of sport scientists — from doctors to physiotherapists, strength and conditioning specialists, nutritionists and even sports psychologists. The scientists are tasked with measuring and analyzing all the details that go into an athlete's day, from sleep to water intake, nutrition and training; while the psychologists work with psychometric assessments to keep them confident and mentally strong. And, as detailed above, data scientists are playing a central role across countries to provide key inputs on parameters that could impact performance within the Olympics environment. It is no wonder then that Rio saw a rise of Davids taking on Goliaths, a phenomenon we are quite familiar with in business where new start-ups are challenging industry leaders by leveraging the power of the ecosystem. Beyond technology, the agility and the ability to make quick changes was a big story at Rio. Team members were decided on and switched at the last minute to pick the best person for the occasion. For instance, the US women’s team in the 4x100 medley relay was changed completely between the qualifier and the final. 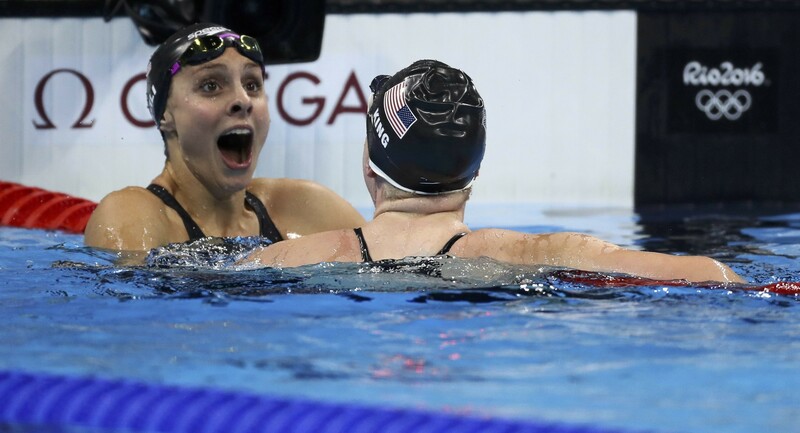 The team that earned the squad a place in the final included Olivia Smoliga, Katie Meili, Kelsi Worrell and Abbey Weitzeil, whereas the team that swam in the finals comprised Kathleen Baker, Lilly King, Dana Vollmer and Simone Manuel. The strategy worked as all 8 swimmers took home a gold medal. The one name that stands out from a glittering Rio is Michael Phelps, who retires as the best swimmer ever with an unprecedented lifetime haul of 23 Olympic gold medals, including five at Rio. But he is also a beacon who proved to the world that getting derailed is alright, so long as you can pivot at the right time. Phelps defied all naysayers by coming back from a swimming suspension to achieve one of the greatest Olympics victories: a lesson that is invaluable for all business leaders who hesitate to pivot even when there is a crying market need for it. The area of sports always taught us the power of performance. However, Rio 2016 had one final lesson for the world – that of empathy. For the first time in the history of what is arguably the most competitive and high-profile stage on the planet, the International Olympic Committee announced that the nations competing at the summer Games would be joined in Rio by a team of refugees, made up of athletes who would otherwise find themselves stateless and excluded. Showcasing the triumph of empathy on Rio’s Olympic stage was the story of Yusra Mardini, the Syrian swimmer fleeing civil war, who swam with her sister for three and a half hours in the chilly waters of the Aegean Sea, to help guide a stricken dinghy from the Turkish coast to the Greek island of Lesbos. This powerful display of empathy was applauded worldwide and offers an important lesson to business leaders who obsess about performance single-mindedly.